The history of modern lunar origins theories traces back to George Darwin in the 1800s. Such naturalistic theories have presumed that the moon is extremely old, but all have been plagued by irresolvable difficulties. In addition, the moon is slowly receding from the earth, a phenomenon which establishes an upper limit for the moon’s age of approximately one-third the conventional age of 4.6 Ga. This issue has been a long-standing challenge to conventional chronology. Use of adjustable tidal parameters presumes conventional age rather than proving it, so is no support for a long chronology. The first moon landing—astronauts placed mirrors on the moon, making possible lunar laser ranging experiments leading to precise determination of the lunar recession rate. The capture theory has been discredited because of the improbability of Earth capturing an approaching moon-size object. Rather than explaining the origin of the moon itself, this theory merely displaces the problem of lunar origin to an indeterminate point far from Earth. The fission theory claims that the moon coalesced from debris spinning off the presumably molten earth eons ago; while the impact theory claims that a Mars-size asteroid once impacted the earth,7 with the debris eventually coalescing into the moon. The fission and impact theories both require that the debris forming the moon begin coalescing at or near earth’s Roche limit. The Roche limit is the distance from a central body, such as a planet, inside of which orbiting debris cannot coalesce.8,9 The gravitational force of the central body on an orbiting particle is stronger on the particle’s near side than on its far side. Within the Roche limit, this differential gravitational force is greater than the particle’s own self-gravitation, and particles break apart rather than joining. A satellite can exist within the Roche limit if non-gravitational cohesive forces hold the object together, but once torn apart into smaller pieces, the pieces cannot rejoin. Saturn’s rings are evidently fragments of moons once orbiting Saturn inside the Roche limit. Forces due to collisions, or disruptive forces within the moons, tore the moons apart. Before they fragmented, cohesive forces held the moons together, but once they disintegrated, they could not re-form. Similarly, the earth’s moon could never form inside the Roche limit out of debris due to fission. A large impactor would import so much energy into the earth-moon system that the impact debris would vaporize before the moon could form. To counter this problem, a ‘hybrid’ model was developed in which debris within the Roche limit is allowed to vaporize, but debris outside the Roche limit is allowed to cool by radiation and eventually form the moon.25 There is no physical basis for such a dichotomy, however; the assumption of such a hybrid scheme is an artificial modelling device. Another unresolved problem is the moon’s orbital inclination. Currently the moon’s orbit is inclined at about 5 degrees to the earth’s orbit.30 Extrapolation back in time revealed that 4.5 Ga ago, the inclination would have been about 10 degrees. In other words, if the moon had originated naturalistically, the inclination should be zero and a lunar eclipse should occur at each full phase. Biblically, God created the moon with very nearly its present inclination, and the orbital inclination problem is really a ‘pseudo-problem’. However, Ward and Canup claimed to have solved the problem by invoking inter-gravitational attractions or ‘resonances’, and possibly only one resonance, among the particles of debris forming the moon.9 Such resonances have been invoked to explain the structuring of the Saturnian and Uranian rings, for example. For this resonance model to work for lunar origins, the time of lunar formation and the mass of the accretion disk are ‘input parameters’ and the ‘resulting [present] inclination depends mainly on [these] two parameters’.31 As mentioned above, these two parameters are unknown. A model depending on them cannot be said to have yielded dependable results, and the orbital inclination problem remains unresolved for the investigator ruling out special creation. The moon was never at the Roche limit, but was positioned or ‘set’ in the firmament (Genesis 1:17) at approximately its present distance from the earth. Highly accurate lunar laser ranging measurements have shown that the moon is very slowly receding from the earth. Based on these measurements we can compute the time, which would hypothetically be required, for the moon to recede from the Roche limit to its present position. where r is the semimajor axis of the moon’s orbit about the earth, t is time, and k is a proportionality constant.32-34 When t = 0, r = r0. 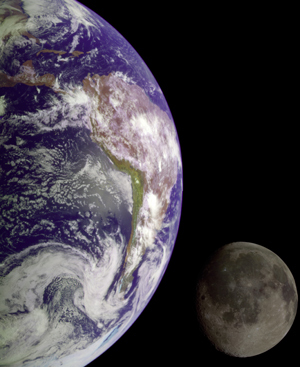 where R is the radius of the central body (the earth in this case); ρp is the density of the central body; and ρm is the density of the orbiting body, in this case the moon.35 With R = 6.3781 x 106 m for the earth; ρp = 5515 kg/m3; and ρm = 3340 kg/m3, we find that r0 = 1.84 x 107 m. This is less than 5% of the moon’s current orbital radius. From equation (1), the proportionality constant k is the product of the sixth power of the distance r, and the current recession rate. The present value of the recession rate is 4.4 ± 0.6 cm/yr, or (4.4 ± 0.6) x 10–2 m/yr.36–38 Therefore, k = 1.42 x 1050 m7/yr. With this value for k, the right hand side of equation 1 equals the present recession rate dr/dt, when r = the moon’s current orbital radius. One response to the chronological challenge of recession has been the impact theory, in which lunar material originates within the Roche limit but is quickly ejected beyond it. The impact theory in turn is grounded in an older concept, the ‘orbital resonance theory’, which claims that the moon was never actually at the Roche limit. According to this theory, the moon is currently receding, but was once approaching the earth as part of a series of alternating recession/approach events as old as the moon’s conventional age.42,43 The resonance theory, however, presumes conventional age rather than proving it, so is no support for evolutionary chronology. Using equations 2 and 3 above, together with the conventional age of 4.6 Ga for the earth-moon system, we can compute how far the moon should have receded from the Roche limit over that time. Using r0 = 1.84 x 107 m, k = 1.42 x 1050 m7/yr, and t = 4.6 x 109 yr, we find that r = 4.7 x 108 m. This is 20% higher than the actual distance of the moon from the earth. Using Fix’s estimate of recession rate gives a value 14% greater than the current distance, or a time frame of 1.8 Ga, still far short of the 4.6 Ga date. Darwin, G., The Tides, Houghton Mifflin, Boston, pp. 278–286, 1898. Return to text. Fix, J., Astronomy, WCB/McGraw-Hill, Boston, pp. 190, 192, 1999. Return to text. 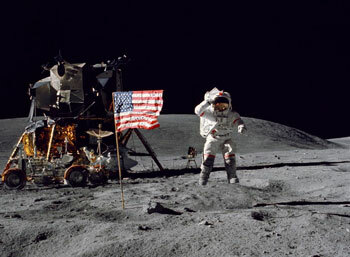 Taylor, G., The scientific legacy of Apollo, Scientific American 271(1):40–47, 1994; p. 42. Return to text. Kleine, T., Mezger, K., Palme, H. and Munker, C., The W isotope evolution of the bulk silicate earth: constraints on the timing and mechanisms of core formation and accretion, Earth and Planetary Science Letters 228:109–123, 2004; p. 118. Return to text. Fix, ref. 2, p. 191. Return to text. 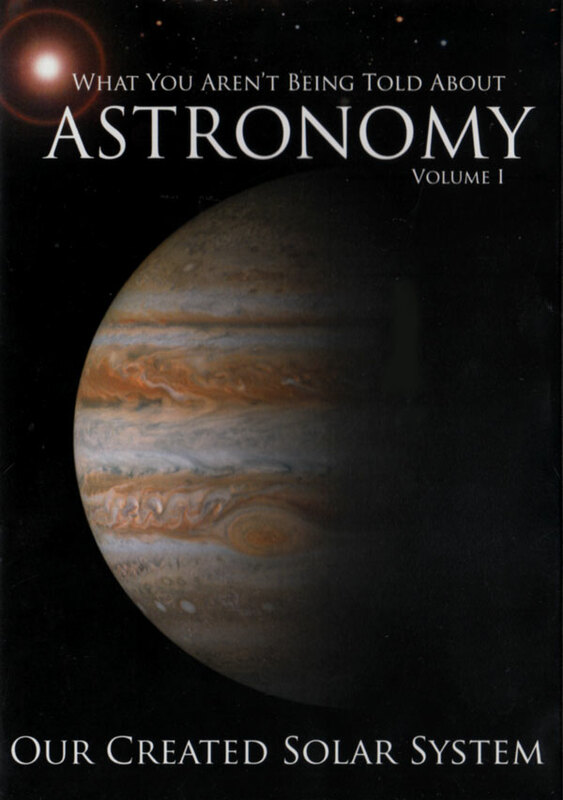 Hammond, A., Exploring the solar system III: whence the moon, Science 186:911–913, 1974; p. 911. Return to text. Touma, J. and Wisdom, J., Evolution of the Earth-Moon system, Astronomical Journal 108:1943–1961, 1994; p. 1943. Return to text. Canup, R. and Asphaug, E., Origin of the moon in a giant impact near the end of the earth’s formation, Nature 412:708–712, 2001; p. 710. Return to text. Ward, W. and Canup, R., Origin of the moon’s orbital inclination from resonant disk interactions, Nature 403:741–743, 2000; p. 741. Return to text. Ruzicka, A., Snyder, G. and Taylor, L., Giant impact and fission hypotheses for the origin of the moon: a critical review of some geochemical evidence, International Geology Review 40:851–864, 1998; p. 851. Return to text. 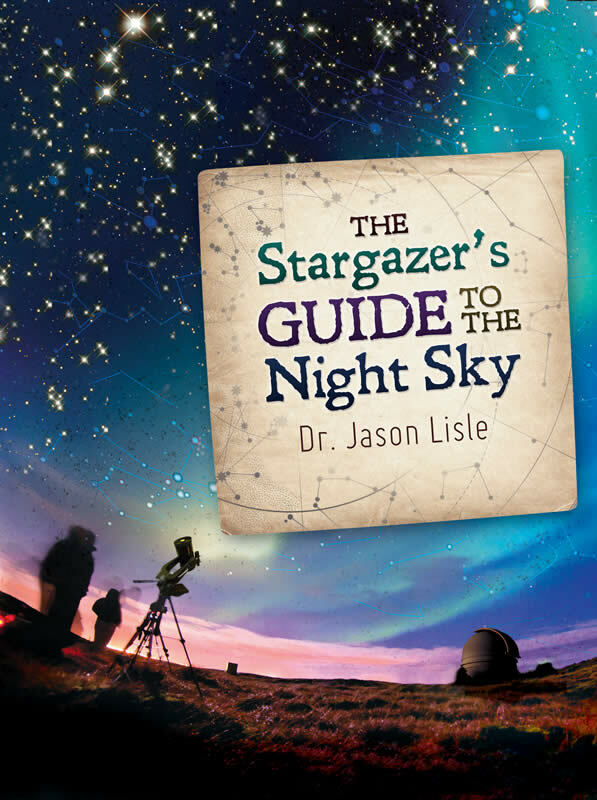 Lissauer, J., It’s not easy to make the moon, Nature 389:327–328, 1997; p. 328. Return to text. Hartmann, W., Moons and Planets, Wadsworth, Belmont, CA, p. 127, 1972. Return to text. Lissauer, ref. 11, p. 327. Return to text. Taylor, ref. 3, pp. 41, 42–43. Return to text. Taylor, ref. 3, p. 43. Return to text. Musser, G., Earth-shattering theory, Scientific American 285(5):18, 2001. Return to text. Ida, S., Canup, R. and Stewart, G., Lunar accretion from an impact-generated disk, Nature 389:353–357, 1997; pp. 353, 357. Return to text. Canup and Asphaug, ref. 8, p. 708. Return to text. Kleine et al., ref. 4, p. 109. Return to text. Halliday, A. and Drake, M., Colliding theories, Science 283:1861–1863, 1999; p. 1862. Return to text. Podosek, F., A couple of uncertain age, Science 283:1863–1864, 1999; p. 1864. Return to text. Mumma, M., Russo, N., DiSanti, M., Magee-Sauer, K., Novak, R., Brittain, S., Rettig, T., McLean, I., Reuter, D. and Xu, Li-H., Organic composition of C/1999 S4 (LINEAR): a comet formed near Jupiter? Science 292:1334–1339, 2001; p. 1338. Return to text. Kleine et al., ref. 4, pp. 109, 120. Return to text. Canup and Asphaug, ref. 8, p. 711. Return to text. Canup, R., Origin of the Moon, Bulletin of the American Astronomical Society 32:858–859, 2000; p. 859. Return to text. 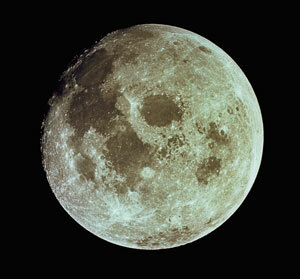 Anonymous, How to make Earth’s moon, Astronomy 26(1):24, 1998. Return to text. Kleine et al., ref. 4, p. 114. Return to text. Podosek, ref. 21, pp. 1863–1864. Return to text. Kleine et al., ref. 4, pp. 109, 119. Return to text. Mignard, F., Long time integration of the moon’s orbit; in: Brosche, P., and Sundermann, J. (Eds. ), Tidal Friction and the Earth’s Rotation II, Springer-Verlag, Berlin, pp. 67–91, 1982; p. 76. Return to text. Ward and Canup, ref. 9, pp. 742–743. Return to text. Darwin, ref. 1, p. 274. Return to text. DeYoung, D., The earth-moon system; in: Walsh, R. (Ed. ), Proceedings of the Second International Conference on Creationism, Creation Science Fellowship, Pittsburgh, PA, 2:79–84, 1990; p. 81. Return to text. Mignard, ref. 30, p. 80. Return to text. Whitcomb, J. and DeYoung, D., The Moon: Its Creation, Form, and Significance, BMH Books, Winona Lake, IN, p. 42, 1978. Return to text. Lang, K.R., Astrophysical Data: Planets and Stars, Springer-Verlag, Berlin, p. 31, 1992. Return to text. Stacey, F., Physics of the Earth, Wiley, New York, pp. 98–99, 1977. Return to text. Lambeck, K., The Earth’s Variable Rotation: Geophysical Causes and Consequences, Cambridge University Press, London, p. 298, 1980. Return to text. DeYoung, ref. 33, p. 82. Return to text. Munk, W. and MacDonald, G., The Rotation of the Earth, Cambridge University, London, p. 202, 1960. Return to text. Baldwin, R., A Fundamental Survey of the Moon, McGraw-Hill, New York, p. 40, 1965. Return to text. Hansen, K., Secular effects of oceanic tidal dissipation on the moon’s orbit and the earth’s rotation, Reviews of Geophysics and Space Physics 20:457–480, 1982; p. 457. Return to text. Brush, S., Ghosts from the nineteenth century: creationist arguments for a young earth; in: Godfrey, L., (Ed. 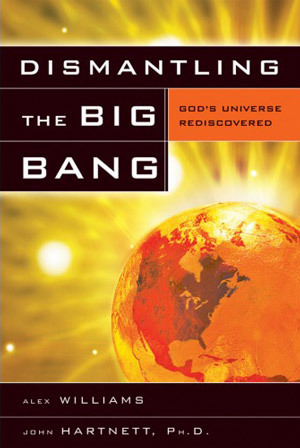 ), Scientists Confront Creationism, Norton, New York, pp. 49–84, 1983, p. 78. Return to text. Williams, D., Moon fact sheet,p. 2, 27 January 2000. Return to text. Dickey, J., Bender, P., Faller, J., Newhill, X., Ricklefs, R., Ries, J., Shelus, P., Veillet, C., Whipple, A., Wiant, J., Williams, J. and Yoder, C., Lunar laser ranging: a continuing legacy of the Apollo program, Science 265:482–490, 1994; p. 486. Return to text. Fix, ref. 2, p. 182. Return to text. Verhoogen, J., Energetics of the Earth, National Academy of Sciences, Washington, DC, p. 22, 1980. Return to text. Finch, D., The evolution of the earth-moon system, Moon and Planets 26:109–114, 1982; pp. 113–114. Return to text. Cazenave, A., Tidal friction parameters from satellite observations; in: Brosche, P. and Sundermann, J. (Eds. ), Tidal Friction and the Earth’s Rotation II, Springer-Verlag, Berlin, pp. 4–18, 1982; p. 4. Return to text. Stephenson, F., and Morrison, L., History of the earth’s rotation since 700 b.c. ; in: Brosche, P. and Sundermann, J. (Eds. ), Tidal Friction and the Earth’s Rotation II, Springer-Verlag, Berlin, pp. 29–50, 1982; p. 29. Return to text. Mignard, ref. 30, p. 71. Return to text. Stephenson, F., Early Chinese observations and modern astronomy, Sky and Telescope 97(2):48–55, 1999; p. 55. Return to text. Mignard, ref. 30, p. 82. Return to text. Stephenson and Morrison, ref. 50, p. 30. Return to text. Bills, B. and Ray, R., Lunar orbital evolution: a synthesis of recent results, Geophysical Research Letters 26:3045–3048, 1999; p. 3045. Return to text. Henry, J., An old age for the earth is the heart of evolution, CRSQ 40(3):164–172, 2003; pp. 166–167. Return to text. Mignard, ref. 30, p. 84. Return to text. Slichter, L., Secular effects of tidal friction upon the earth’s rotation, J. Geophysical Research 68:4281–4288, 1963; p. 4287. Return to text. Goldreich, P., History of the lunar orbit, Reviews of Geophysics 4:411–439, 1966; p. 411. Return to text. Lambeck, ref. 38, p. 288. Return to text. Piper, J., Movements of the continental crust and lithosphere-asthenosphere systems in Precambrian times; in: Brosche, P. and Sundermann, J. (Eds. ), Tidal Friction and the Earth’s Rotation II, Springer-Verlag, Berlin, pp. 253–321, 1982. Return to text. Webb, D., On the reduction in tidal dissipation produced by increases in the Earth’s rotation rate and its effect on the long-term history of the Moon’s orbit; in: Brosche, P. and Sundermann, J. (Eds. 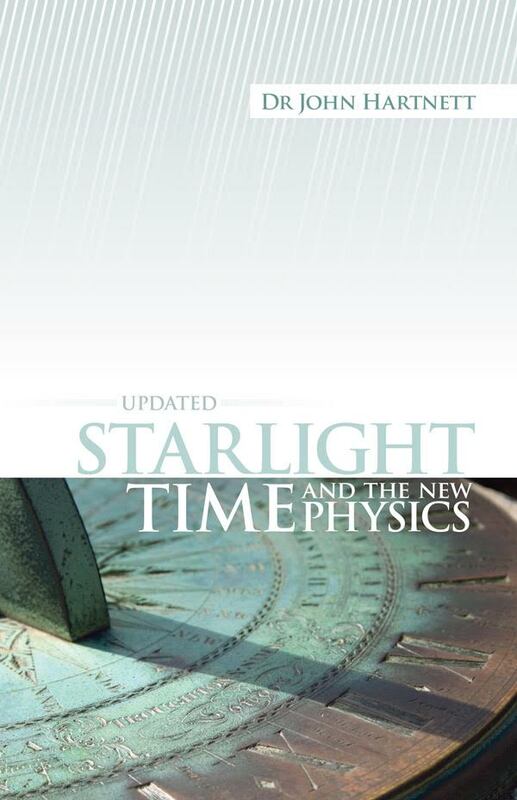 ), Tidal Friction and the Earth’s Rotation II, Springer-Verlag, Berlin, pp. 210–221, 1982. Return to text. Bowden, M., The moon is still young, p. 3, 15 March 2002. Return to text. Murphy, J. and Nance, R., Mountain belts and the supercontinent cycle, Scientific American 266(4):84–91, 1992; p. 91. Return to text. Dalziel, I., Lawyer, L. and Murphy, J., Plumes, orogenesis, and supercontinental fragmentation, Earth and Planetary Science Letters 178:1–11, 2000; p. 7. Return to text. Ray, R., Bills, B. and Chao, B., Lunar and solar torques on the oceanic tides, J. Geophysical Research-Solid Earth 104(B8):17653–17659, 1999; p. 17653. Return to text. Ray, R., Eanes, R. and Lemoine, F., Constraints on energy dissipation in the Earth’s body tide from satellite tracking and altimetry, Geophysical Journal International 144:471–480, 2001; pp. 471, 479. Return to text. Reed, J. and Froede, C., The chaotic chronology of catastrophic plate tectonics, CRSQ 39(2):149–159, 2002. Return to text. Mignard, ref. 30, p. 83. Return to text. Williams, G., Tidal rhythmites: key to the history of the earth’s rotation and the Lunar orbit, J. Physics of the Earth 38:475–491, 1990; p. 475. Return to text. Williams, G., Precambrian length of day and the validity of tidal rhythmite paleotidal values, Geophysical Research Letters 24:421–424, 1997; p. 421. Return to text. Archer, A., Reliability of lunar orbital periods extracted from ancient cyclic tidal rhythmites, Earth and Planetary Science Letters 141:1–10, 1996; p. 8. Return to text. Bracewell, R., Varves and solar physics, Quarterly J. Royal Astronomical Society 29:119–128, 1988; p. 124. Return to text. Bracewell, R., The impact of varves on solar physics, Solar Physics 117:261–267, 1988; p. 265. Return to text. Williams, G., The solar cycle in Precambrian time, Scientific American 255(2):88–96, 1986; p. 96. Return to text. Finney, S., Williams, G. and Sonett, C., Proxy solar cyclicity recorded in grain sizes of varved sediments, Abstracts of the Lunar and Planetary Science Conference 19:331–332, 1988; p. 331. Return to text. Bracewell, ref. 73, p. 127. Return to text. Sonett, C., Finney, S. and Williams, C., The lunar orbit in the late Precambrian and the Elatina sandstone laminae, Nature 335:806–808, 1988; p. 806. Return to text. Finney, S., Williams, G. and Sonett, C., The lunar orbit in the late Precambrian, Abstracts of the Lunar and Planetary Science Conference 20:289–290, 1989; p. 289. Return to text. Horgan, J., Blame it on the moon, Scientific American 260(2):18, 1989. Return to text. Mazumder, R. and Arima, M., Tidal rhythmites and their implications, Earth-Science Reviews 64:79–95, 2005; p. 92. Return to text.